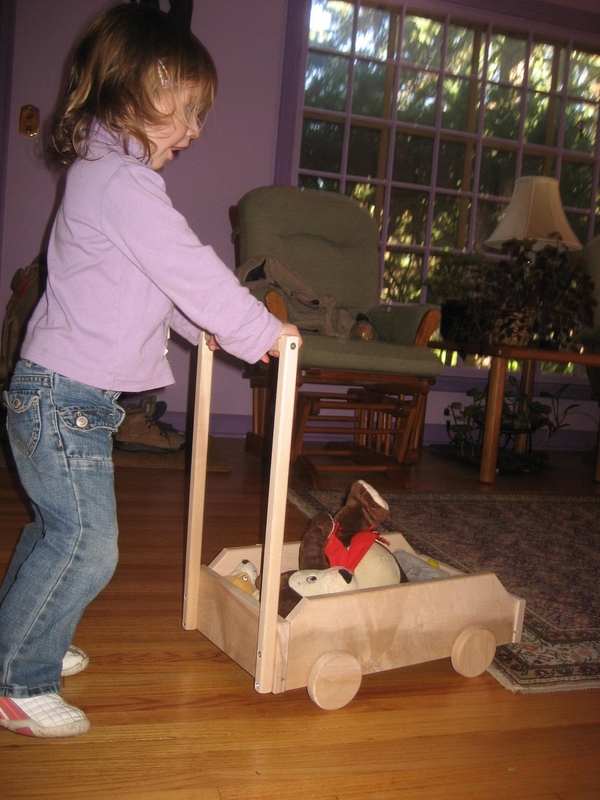 The Beka Walker is a fully assembled maple wood cart, primarily intended for indoor use. 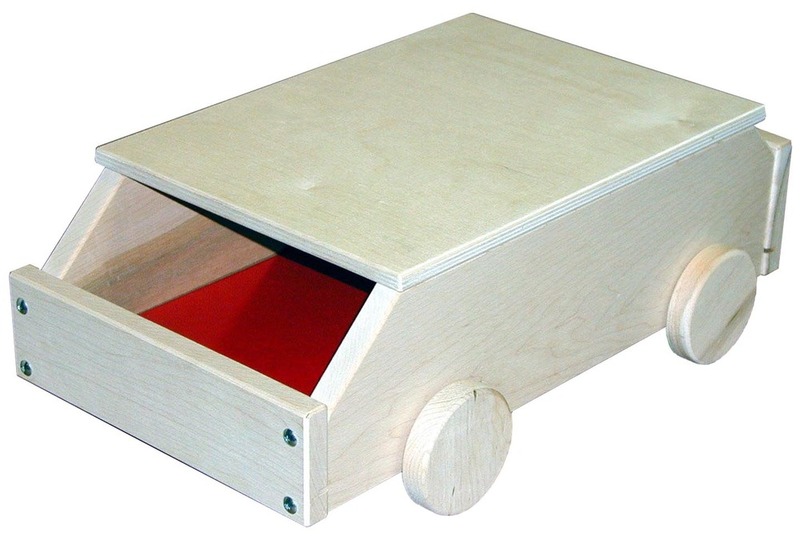 Attach the upright handle to create a sturdy natural hard maple "walker" toddlers can load up and push around. 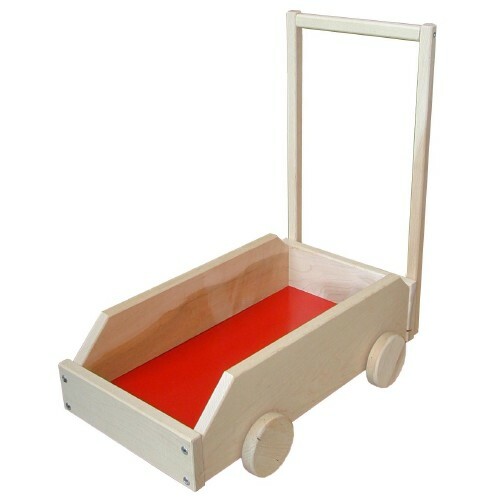 Use it to haul blocks, stroll with dolls, store small toys, as a "moving van" or "car carrier", etc. A Baltic Birch top is an optional accessory that may be ordered with the basic "walker". Walker sides and end pieces are natural hard maple, handle parts are maple, the bottom is sturdy 1/8" thick tempered hardboard. 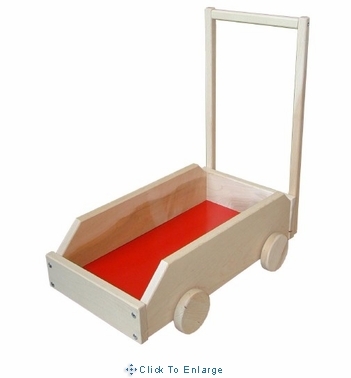 Dimensions of the wagon with its wooden wheels: 12-1/4" wide X 6-1/2" high X 19" long (10 lbs). The upright handle parts are 19" long; the assembled handle top is 20-1/2" from the floor. Shipping: This item will ship from St. Paul, MN via UPS within 1-2 business days.